Having just bought an 18 month old S1000R I did some insurance quotes to see what the difference would be to my current bike. I was surprised to find that it doubled my premium, why is it so expensive? Current bike is a Kawasaki ZX10R so both are group 17. The ZX10R also has declared mods whereas the S1000R is stock. Insurance has jumped from £110 to £220 which seems a little excessive for a bike that is less powerful with lots of driver electronics to help keep you out of trouble. This subject comes up here a lot. On my second bike, I went with a different insurance co. and they gave me the same coverage for about $430 a year. Are you saying your ZX10R was only £110 ! The same thing happened to me. My old Fireblade cost £100-ish to insure, whilst my R costs £200-ish to ensure. 1. Insurers tend to charge an inflated cost for the first year of ownership. I guess when you’re less familiar with a vehicle, then you are more likely to have an accident. My insurance did reduce a bit once I’d had my R for a year. 2. S1000Rs are all owned by hooligans intent of terrorising other road users and old ladies just popping to the post office with their reckless antics. We can deduce this from BMW marketing blurb, which rarely shows an R in anything other than a stunting situation. 3. Insurers need to maximise the amount of money they can extract from R owners in the limited time available to them. We can deduce this from the conclusive evidence on this forum that all Rs self-destruct one day outside of the warranty period, so the insurers can’t be in it for the long term. 4. All bikes in the Greater London area will be stolen within a year of purchase, possibly by one of the many marauding moped gangs. Thus we all have to pay more to keep the city afloat. Might be a factor that a 7 year old Kawasaki is worth 4k whilst year and a half old bmw is worth 9 ish plus a beemer might be more expensive to put back on the road than the zx10r in the event of being slung down the road. In the U.S. it's best to do price shopping. I found Geico to be the best, and I don't work for them. I bundled my car and bike together, and the bike is $280/yr. It also depends on where you live, and whether you have any history of accidents and/or tickets. And yes, some insurance companies' prices are coming from Crazy Town. That's why shop around. I am $238 annually with State Farm - full coverage. Clean record. I've found the same - the MT10 is massively cheaper to insure and the new Z1000 H2 SX marginally more. 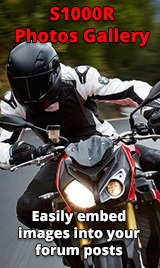 A lot depends on your riding/driving and claim history and your location (local vehicle crime stats) and specific requirements (garaged, pillion, commuting etc). However a lot can be down to the history of the model - expensive to repair, high retail prices, crash rate and theft rate - all this combined may well up-rate the risk factors and the premiums.